Budget crisis: Guess who ALMOST got a raise today? 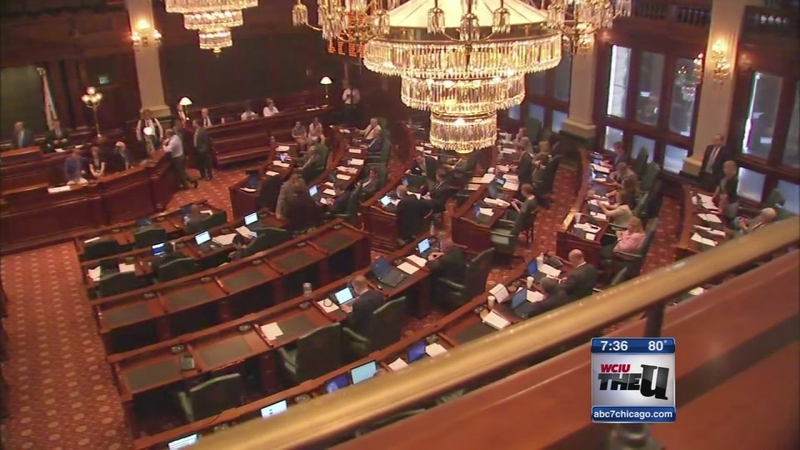 SPRINGFIELD, Ill. (WLS) -- As Illinois begins its fiscal year without a budget, one group of state employees was poised to get a raise today: members of the Illinois General Assembly. But it was vetoed. The same lawmakers whose dysfunction and debt-ridding budget proposals have the state operating without a fiscal plan are scheduled to receive 2-percent cost of living increases effective today. That's an annual raise of $1,356 to $1,905 for each member, depending on their leadership status, according to the governor's office. Governor Bruce Rauner used his veto power to void the raises Wednesday. It comes as uncertainty remains about whether rank-and-file state workers will be paid on time for their work after June 30th. While the governor may have the power to cancel legislators' raises, state law requires that they be paid their salaries during the budget impasse.